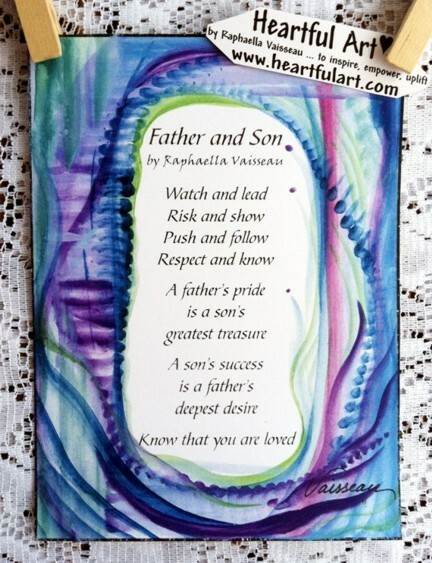 5x7 poster of Raphaella Vaisseau's poem for fathers and sons, written to be given or received by either. Gift for Dad on Father's Day, for a son (or father) on his birthday, graduation, or an expression of love and caring on any day of the year. Raphaella's other family poems include Father and Daughter, Mother and Daughter, Mother and Son, Brothers, Sisters, Sister and Brother, and more. Communicate. Express your love. Share your heart. Appreciate each other.